Nature’s First Aid Cream is your best companions. This special healing pot & calendula cream heals all skin conditions such as: eczema,burns, crackers skin, cuts, wounds & more. Nature’s First Aid is your best companion you can always turn to. It helps in the treatment and control of almost all skin related ailments and injuries. When treating eczema, parents often dread trying product after product only to find that they’re too harsh or are not as effective as advertised. Turn to Nature’s First Aid Cream, a safe and natural treatment for sensitive skin issues including eczema! It’s a natural product in the truest sense of the word, containing no harmful chemicals of any kinds. Contains no steroids either! 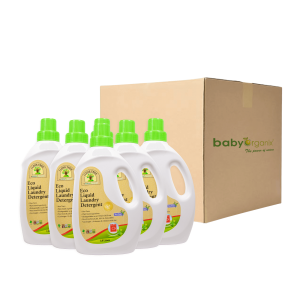 Apart from the gentle and effective healing of eczema, BabyOrganix Nature’s First Aid Cream is also excellent for treating seborrheic dermatitis(infant cradle cap), dermatitis, dry, cracked skin, burns of any kind, cold sores, cuts, bruises, wounds and more. Nature is our best healer. 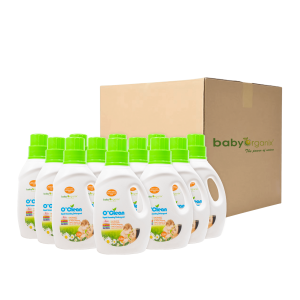 That is why we use only simple, natural and quality ingredients that actively promote the health of baby’s skin. This product dose not contain steroid and harsh chemical.